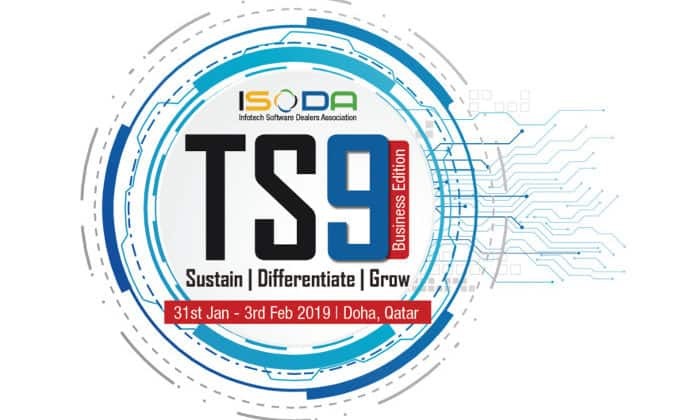 The 9th edition of ISODA (TS9) Summit to kick start at Hotel Ritz Carlton, Doha which will be joined by around 115 delegates. This conference will be driven by workshops which will be focusing on providing insights to reflect and help in achieving business transformation process. L. Ashok, Chairman – TS9 said that this year’s event will be different and that they are happy to join hands with Indian Business Promotion Council (IBPC) which is supported by Indian Embassy – Doha to host a Business Networking Session on 31st Jan at 7:30 PM. This Session will be providing a platform for ISodians to network with Qatari IT companies and Indian IT companies in Doha. This session is scheduled to be inaugurated by HE P Kumaran – Indian Ambassador to Qatar while Dr R Seetharaman – CEO Doha bank will be the keynote speaker. Many more investment bankers are expected to give their presentations in this session to provide insights to Indian delegates on mutual trade exchange. IBPC is a flagship forum in Doha and it helps in connecting easily with the world of business and professionals in Qatar. “Indians have strived and struggled hard to build a name for themselves in Qatar and today by God’s grace we are the largest and most sought after business and professional’s community in Qatar,” said N K Mehta – Chairman, ISODA. He further said that the IBPC forum will be very helpful to strike strategic partnerships and deals that can enhance strategic business to the partner community to grow their business. “We are happy to express Qatar Tourism for supporting this event as “Tourism Partner” of the event,” he said. ISODA-TS9 to witness Technology Partners in Doha 0 out of 5 based on 0 ratings. 0 user reviews.